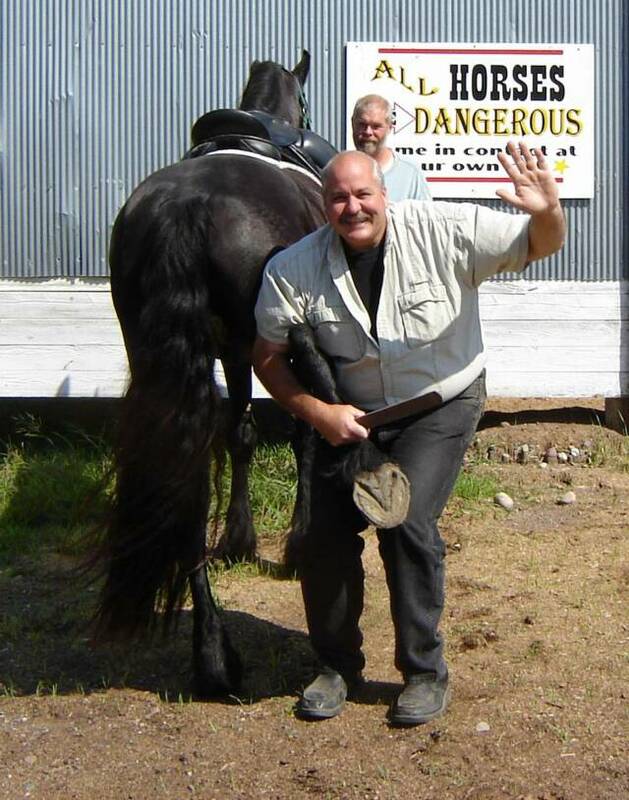 LARRY SURRETT attended Anoka Tech at the age of 18 and founded MINNESOTA HORSE TRAINING ACADEMY in 1995, where he has dedicated his life to the equine industry. He has been a Ferrier for the last 34 years. At 6’ 4”, you can imagine what a toll this has taken on his back. He knew that there had to be a better and faster way, for both Farrier and horse owner alike. Over the years, he has thought about this many times. When he finally knew he had the right idea, he called his long time friend and entrepreneur, Ralph Dickenson. Together, they worked on this for over 3 years. With a lot of trial, error, and many prototypes, the EZ HOOF NIPPER is finally a reality.